WEIGHT: approx. 5.5 lbs per B.F.
WORKABILITY: Difficult to glue due to oil content, machines well and finishes beautifully. Very dense wood. 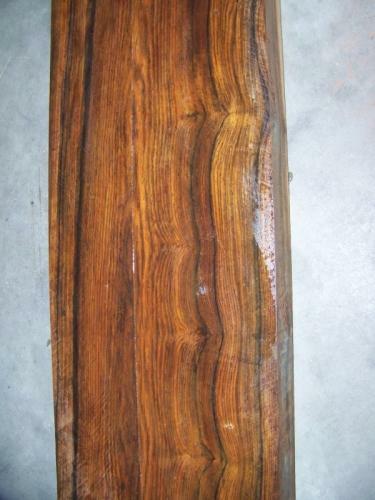 Cocobolo is a rare dalbergia or rosewood that comes from Central America. 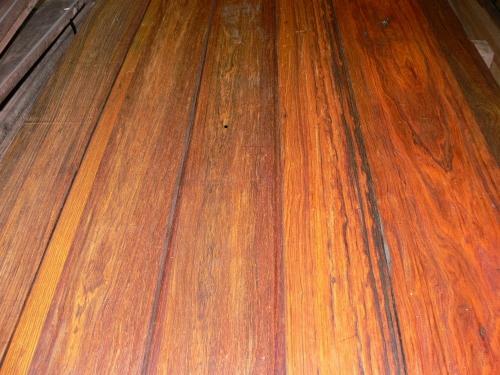 It is sought after for use in decorative items such as jewelry boxes and knife handles due to its heavy graining, varying coloration and it's ability to finish to a high polish. 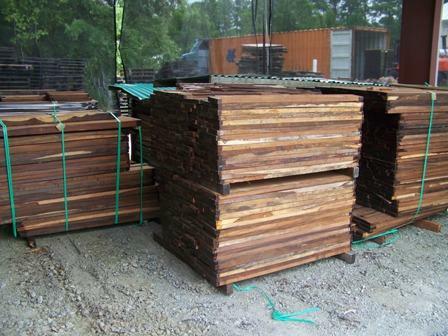 Cocobolo lumber is narrow and short when compared to most hardwood species. It is usually put up as 3" and wider and 3' and longer with vey limited availability over 6" wide or 6' long. Wood Vendors has a 50 Board Foot minimum purchase for this item. 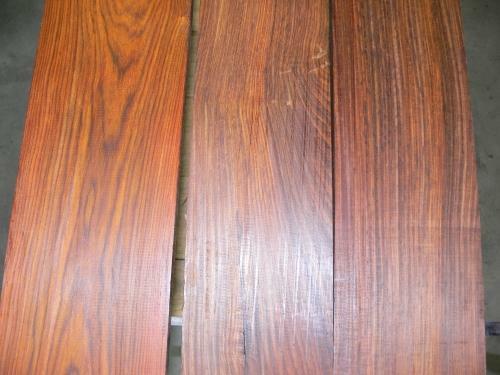 Call Tom or Pat at 877.983.6367 to discuss your Cocobolo needs.